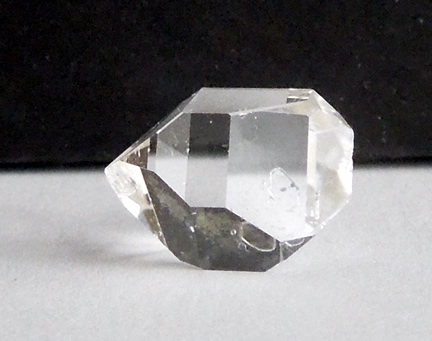 This specimen is double terminated, as befits any AA Grade Herkimer Diamond. The terminations here are special. One has the traditional sharp point, while the other is a chisel tip. 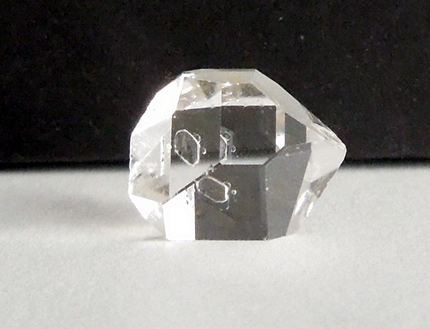 A common termination point occurs when six faces (or facets) join together to form a point. 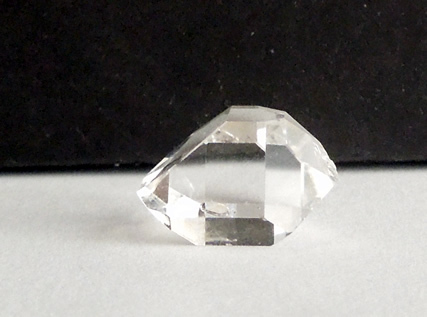 An alternate is when the facets come together with a flat edge. This is not as common, and referred to as a chisel tip. 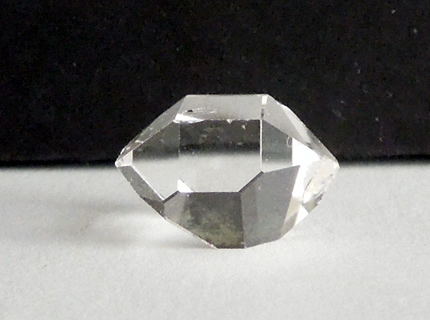 Additionally, an interesting flat circle type inclusion is found just below the surface and can be seen in the pictures. 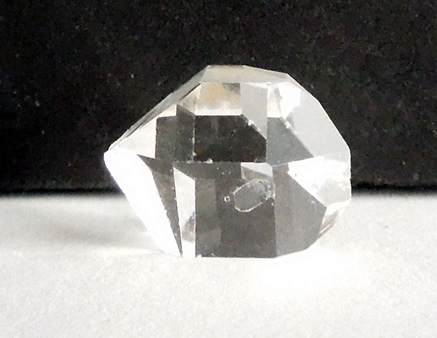 Facets (or faces) are clean and smooth and clarity is excellent. 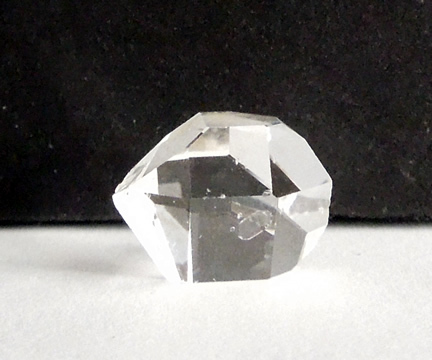 The specimen is a generous size for an AA grade Herkimer Diamond.